Cake is a food that everyone can love. It is one of the most famous desserts worldwide, and can be transformed into anything the imagination can dream of. 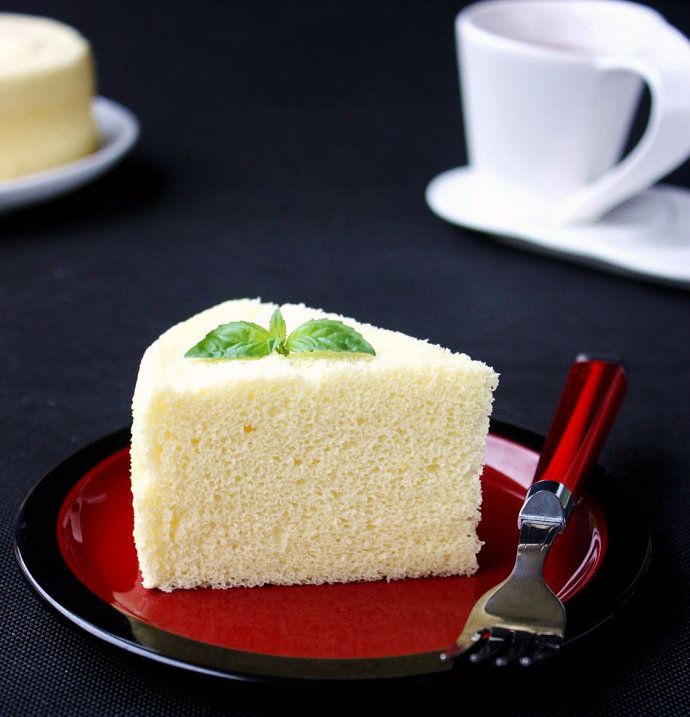 This steamed cake is very similar in almost every way to making traditional baked cakes. However, because it is steamed, I think the moisture has been better preserved, so the texture of the cake will be softer and smoother than a baked cake. Also, you can make this without an oven. With a baked cake, they tend to use more oil to keep them moist, so using the “steaming” method can make the cakes relatively healthier. This is a delicious and sweet treat that can be had for breakfast or afternoon tea, and pairs great with yogurt, juice and other drinks! Step 2: Pour corn oil and milk into the egg yolk bowl. Step 3: Whisk well with egg. Step 4: Low-gluten flour is sieved into the bowl. Step 5: Stir with a spatula into a batter. Step 6: The batter is sifted through a sieve again to ensure it’s smooth with no clumps. Step 7: Put a little white vinegar (or lemon juice) in the egg whites. Pour the sugar into the egg white bowl over 3 separate times- first, pour 1/3 sugar, and use the electric egg beater to whip it so that it looks like the image below. Step 8: Pour in 1/3 of the sugar and turn it to the high-speed and mix further. Step 9: Pour in the last 1/3 of the remaining sugar and continue to blend it into a meringue at high speed. Step 10: Add the blended egg whites into the batter. Step 12: Pour into an 8-inch round mold. Step 15: Turn off the heat, remove the mold and uncover the plastic wrap. Step 17: Serve with a glass of milk, yogurt, or fresh fruit- ENJOY! 2: You can use the meringue for several different types of cakes, such as angel food cake, etc. Just whip the egg whites thicker.